I’ve made at least eight meals that I meant to photograph and blog, but somehow it didn’t happen. 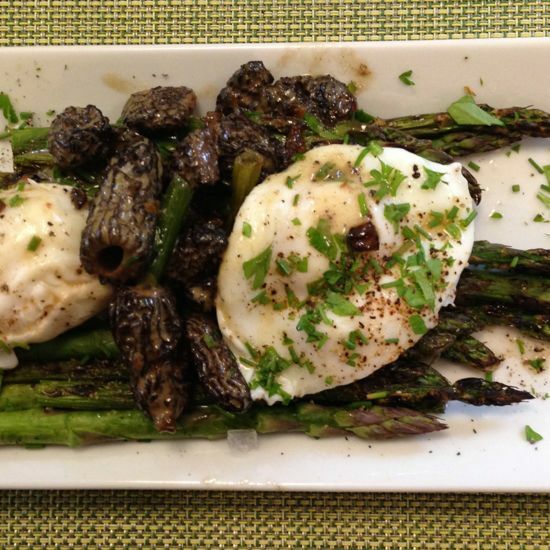 When I sat down to this meal, I knew there was no way I could let this divine combination of asparagus, morels and a poached egg slip through. The season of fresh foods has arrived and doesn’t it seem it’s moving along really quickly? I’ve made plenty of strawberry jam, a few boozy infusions, some vinegar. I pickled onions and asparagus. I’m like a kid in a candy store. Oh, it’s rhubarb season, but ooh boy, the cherries arrived! And yikes, here come the blueberries! OMG there was SQUASH at the market last week! 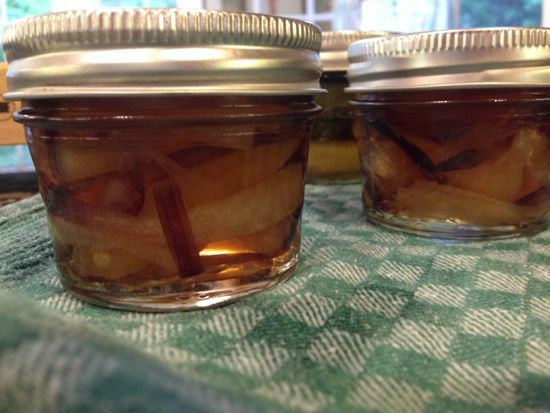 The season is racing along and now is the time to get some jars on the shelf. All summer long, I’ll be contributing to the Washington Post Food section. 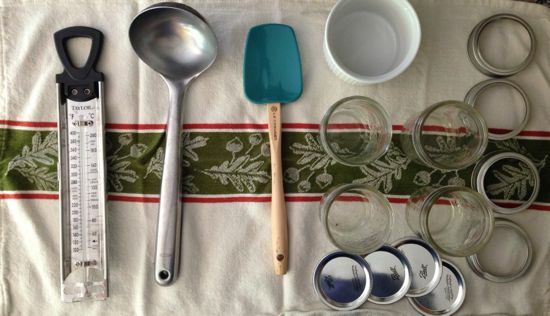 My twice monthly column, Canning Class, will shepherd you through the preserving season, putting delicious foods on the shelf for those long, cold winter months. 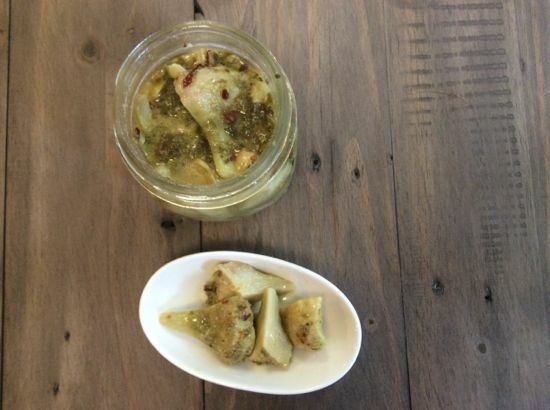 It’s not too late to catch up and make Marinated Artichoke Hearts and Sweet and Sour Onion Pickle. If you haven’t yet made strawberry jam, there is still time and this week’s column will share my secret to achieving a gentle, slumping set in this tart, fruit forward jam. I’m not revealing it here, you’ll have to check out Washington Post’s Food Section. And because we are enjoying the bounty of the summer season, here is a sensational taste of the moment. We’ve been getting plenty of rain and the foragers have been out. There were lovely morels at the market last week and I made one of my favorite early summer dishes. It’s fast, it’s easy and it’s decadent. Toss the asparagus with the oil then grill the asparagus on a hot grill or roast at 425°F for 6 to 8 minutes. In a small skillet, melt the butter. When the foaming has subsided, add the shallot and cook until translucent. Add the morels and cook until softened, about 5 minutes. Add the cream and simmer until the mushrooms have absorbed all the cream, another minute or two. While the mushrooms are cooking, fill a small saucepan with water. Bring to a boil. Crack and drop in the two eggs, return the water to a simmer and cook the eggs for four minutes. 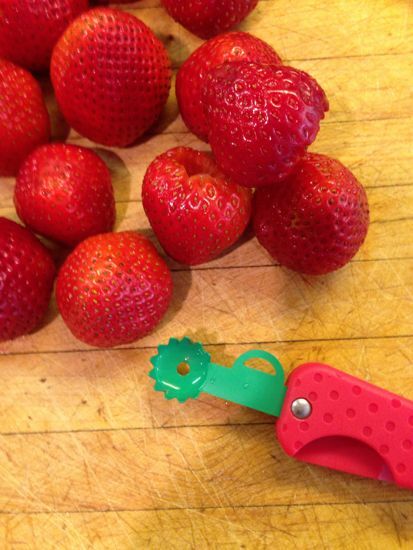 Remove immediately with a slotted spoon. Divide the asparagus between two plates. Top with one egg on each plate and spoon half the morel sauce over each. Season with plenty of salt and pepper. Scatter freshly snipped chives over all. Serve hot. Don’t forget a little crusty bread to sop up the goodness. Oh my, this sounds like the perfect early-summer meal! Oh my lord. 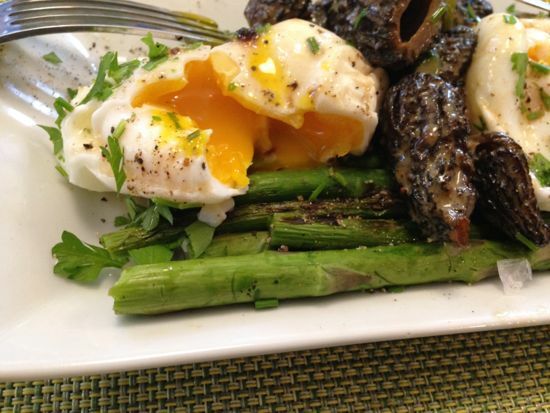 Thank you for the divine asparagus, morel, and egg recipe. I’ll be making this one. merguez, shakshushka, and more. my fall kitchen projects.